Concept: Create a mosaic art project that can be interactive and that gets part of its beauty from the broken contributions of average members of the congregation. It could possibly become a permanent piece of art for the church. Background: A woman at a church in Indianapolis had a dream in which she saw a mosaic picture of a cross with a large heart in the center of it. There were shafts of light shining from the heart, and the heart itself was empty. She saw broken pieces of pottery and other objects placed in the heart later. She sensed that God was inviting her to bring the broken places in her life to the cross and that when she did this, she would understand more of God’s heart and purpose for her. He showed her that his light would shine through the cracks created by the broken places. 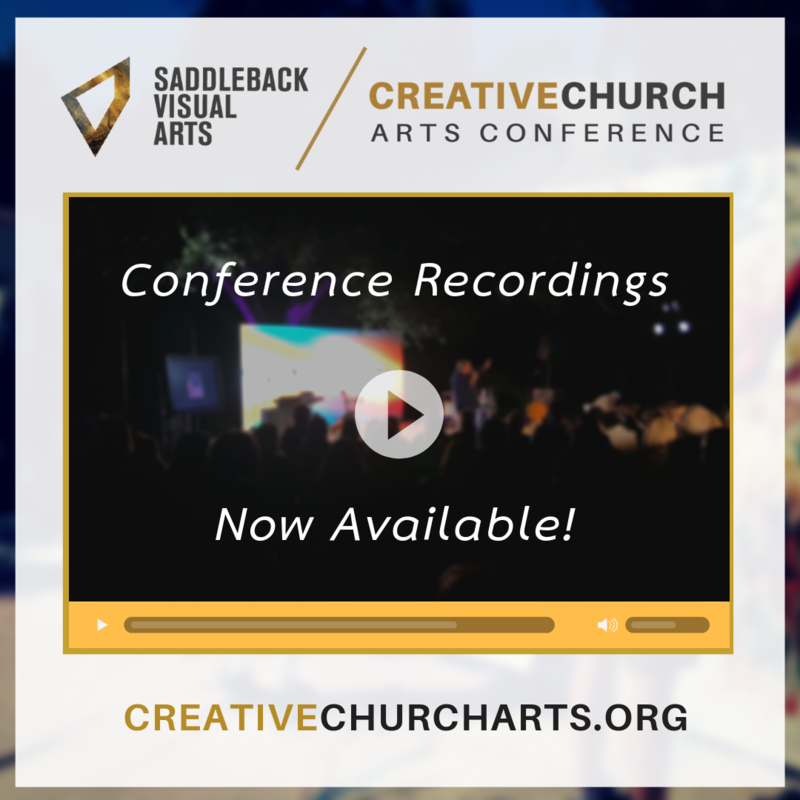 The church’s arts group, who had never worked with the mosaic medium before, brought this concept to life for a special service. 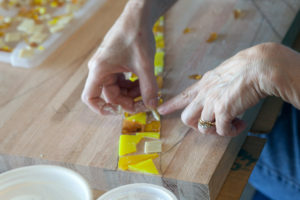 How it works: Basic mosaics can be fairly easy to execute and multiple people can contribute, so it’s a good beginning project for a newly formed arts group. (Mosaic how-to instructions are easily found on the Internet.) In this group’s case, they found the colors of tile and pottery they wanted for the project in random places, like the gardening aisle at Big Lots, Goodwill and their own basements. They sketched out a design, cut a three-quarter-inch piece of plywood for backing, broke the pottery into workable pieces and arranged the colors on the board. Someone had the idea to make the shafts of light out of mirrors, so they smashed several mirrors as well. Others set and polished the tiles and pottery. A few weeks before the special service, the pastor asked the congregation to be thinking about broken places in their lives that they wanted God to heal. He invited them to bring an object that represented that broken place to the planned special service. The object needed to be about the size of a quarter. The night of the service the mosaic was set up on stage, completed with the exception of an empty heart. As the service began, grout was added to the heart, and soon after that the congregation was invited up to the stage to place their symbolic broken object in the heart. One of the artists stood by to make sure each piece stuck. As the service went on the heart became full of crazy, colorful, meaningful objects. The completed mosaic, hung as a permanent piece in the church lobby. mentioned above: Leaders loved it because it was visual, colorful and interactive. It connected the audience with the message and flowed well with the service. The congregation experienced an emotional and spiritual connection because they (a) contributed something personal to the piece, (b) interacted with it, got close to it, touched it, (c) sensed community as they watched their friends and acquaintances contribute their own pieces while helping make a piece of art together, and (d) sensed redemption because their symbol of brokenness helped create something beautiful. For many this was a new experience in their relationship with and understanding of art’s power. 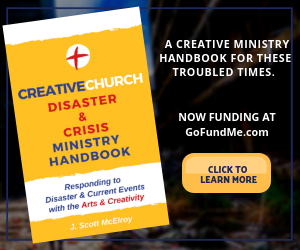 The work was meaningful to the artists and congregation, got the artists contributing and working as a team and, though time consuming, was fairly easy to execute well. It was suitable to show and display. The completed work soon became a meditation point in the sanctuary. A work like this can become a meaningful part of a congregation’s rich history. This piece is mounted in the church’s lobby with a placard that explains its history and even an invitation for the viewer to symbolically place their own brokenness in an empty spot on the heart. 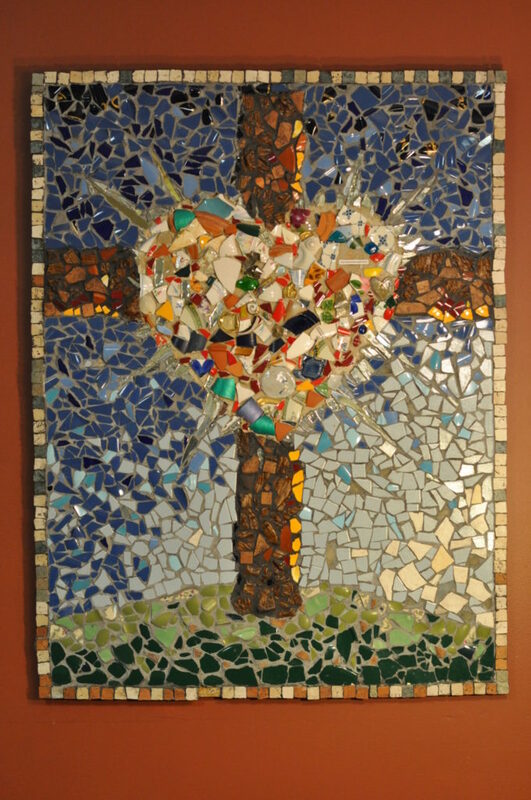 The mosaic idea is suitable for any service dealing with healing or brokenness. It also works with special services like Good Friday (Jesus takes our brokenness on his broken body and redeems it) or Easter (our past brokenness is absorbed in him and we are given a fresh start). Details: When breaking the tile or glass, make sure to put it into something like an old pillowcase to protect from flying shards. If possible, use tiles of uniform thickness, as this will make the cleaning and polishing part of the grouting process much easier. Using tiles of various shapes, sizes and thickness will create an interesting effect, but will require cleaning and polishing each piece individually. For backing, use three-quarter-inch plywood or something similar that will not flex. Flexing will cause the grout to crack and tiles to loosen. 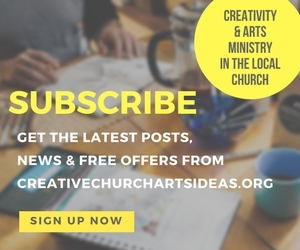 Of course, an interactive, congregational art project can take many forms, but the mosaic project—with church-specific variations—could be a good way to start. 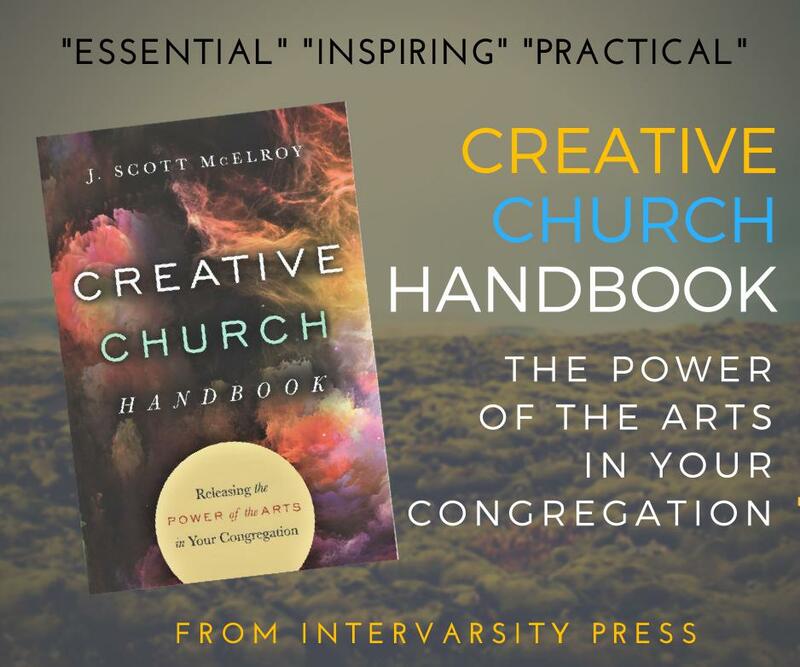 Adapted from Creative Church Handbook: Releasing the Power of the Arts in Your Congregation.